Trying to find a way to expediate your muscle growth? Thinking about giving steroids a try? Not seeing the results from the ones you are currently using? 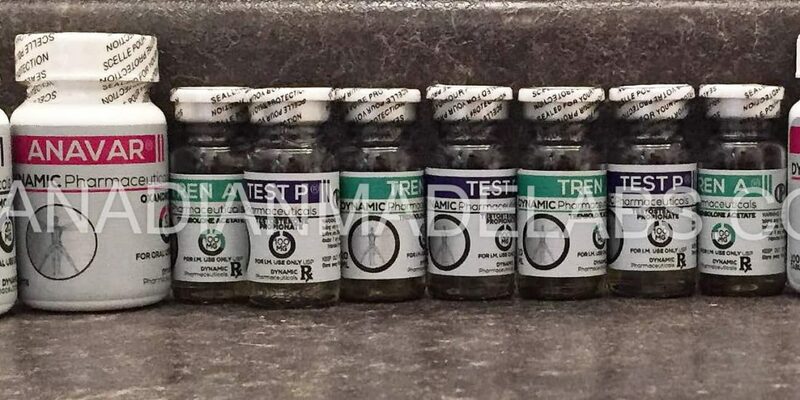 This general guide to the most popular injectable steroids will help you with the basics, as well as give you some measures and steps to follow for best, and most importantly, safest results. Throughout this article we focus on best practices for the use of injectable steroids, as well as the specific steps to take to increase muscle and minimize side effects. Please remember that this article is informational purposes only, for medical information, contact your physician or doctor. In the world of performance enhancing drugs, there is a ton of options from which you have to choose. The best, and most impactful, of these options is injectable PEDs. They’re so powerful, and popular, because of how consistently effective and efficient they are. Unlike other forms, injectable steroids offer incredible fast recovery time, as well as unbeatable energy levels and stamina levels. Although they can be found in many forms, often patches and creams, the injectable steroids are the most common and efficient. Being the most common, they hold the most distinguished and notable position among the pack of them all. One of the reasons that injectable forms are most popular is because they provide the most stability. The results you will experience won’t vary as much as when these drugs are delivered in other ways. Plus, this form of PED’s will largely provide better gains, and in many cases they’ll carry less side-effects and are generally safer. The above list of steroids are some of the most popular injectable steroids, although some come in other forms. In a large number of cases, the injectable version of these PED’s are more efficient and powerful than the pill or other forms. Regardless of what you’re looking to accomplish, you’re bound to find something on the above list. Dianabol: This is a very popular steroid because of how it develops muscle mass. If you are thinking of running a Dianabol only cycle, as with testosterone, it can bring about side effects. Testosterone: This is an extremely effective at causing rapid strength and muscle gains. Worth mentioning, is that Testosterone is extremely fast acting and tends to offer sorer injections, and therefore is undesirable for beginners who have never injected before. While using Testoterone expect side effects such as irritability and aggressiveness, oily skin, and sometimes acne. Also possible as a side effect is fluid retention, which is some cases cause an enlargement of your pectoral area. What’s involved in a Steroid Cycle? Whether you’re planning to use one or stack multiple, a steroid cycle is a risky journey that needs to be executed very carefully. It is incredibly important for anyone who is planning on, or wishing to, start a steroid cycle to be thoughtful and deliberate in their process. Although seemingly daunting, using injectable steroids is fairly easy to do (it is a lot easier still if you have a friend who also uses and is willing to help you with your first few injections). Fill the syringe with an equal amount of air in comparison to the intended dose. Then inject the air into the vial. Relax the injection site, and if possible, stretch the skin taught (tightly) with the thumb and forefinger. Once the skin is stretched, inject the needle like a dart, insert it with one swift motion all the way to the end of the needle. After injection, pull back on the plunger to confirm that blood is NOT entering the syringe. Blood coming back into the syringe signifies you’ve hit a blood vessel. Sterility is key to everything you do surrounding an injection. Although easy to ignore, if you want to reduce your risk of infections (which can be very painful and put you out of training for a while) be smart with your injections. Some items you’ll need for a steroid cycle. How to Use and When? If you’re new to steroid use, you’ll have no idea how your body will react to these substances. Therefore, it is incredibly important to have a full and complete understanding of the compounds you are using, as well as their common side effects. Starting with steroids with a short acting life will ensure the steroid is quickly clear from the body if you decide to cease the cycle due to undesirable side effects. DO YOUR RESEARCH! Although reading this article is a very healthy start, it’s critical to results, safety, and health that you consider any kind of steroid you plan on using. Once you’ve decided which type to use, and in what quantity, it is critical that you plan a post cycle rundown therapy. Any kind of steroid use will quickly reduce your body’s natural testosterone production, which means once you’ve cycled off the drugs that you might be left in precarious position. Hence it is important to restore the natural balance and production of hormones in your body post cycle.